ASICS COURT FF 2 Review: What ya Gonna Do When They Come For You? Whereas the ASICS GEL-Resolution offers strong durability, and the Speed models are lightweight and quick around the court, the Court FF 2 promises the perfect blend of support, speed, and comfort. 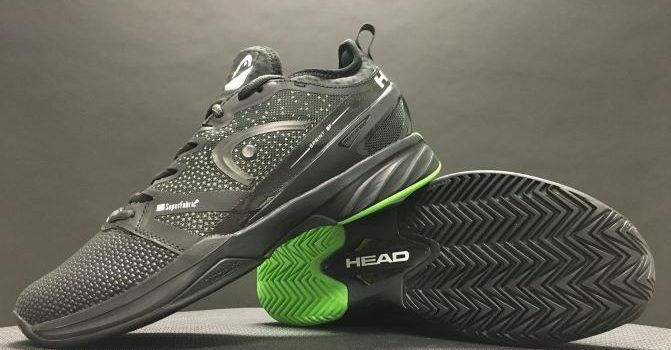 Wilson updates their flagship, high-performance tennis shoe for 2019 with the Rush Pro 3.0. It is a daunting task to try and improve one of the most well-rounded shoes on the market, and having extensively reviewed the 2.5, I was curious to see the adjustments Wilson made. The most glaring change for me was on the scale. Wilson managed to cut nearly an ounce off the Rush Pro 3.0*, making the shoe faster and a touch more dynamic. The upper has been upgraded with Sensifeel 2.0, and features a lightweight mesh in contrast to the 2.5 with no noticeable loss in stability or comfort. The mesh upper also enhances the shoes breathability and initial fit. What is immediately apparent from the first look is how far apart the main strings are in the sweet spot. For example, The Speed MP, and Radical MP both have 16×19 string patterns, but string spacing of the mains is much tighter. The extra space between the main strings allows the ball to sink deeper in to the string bed, enabling more spin and power. Though HEAD has an abundance of 100 square inch racquets, what further separates the Extreme series is the thin 21 mm beam at the throat, which transitions to a wider 23/26 mm beam in the hoop.